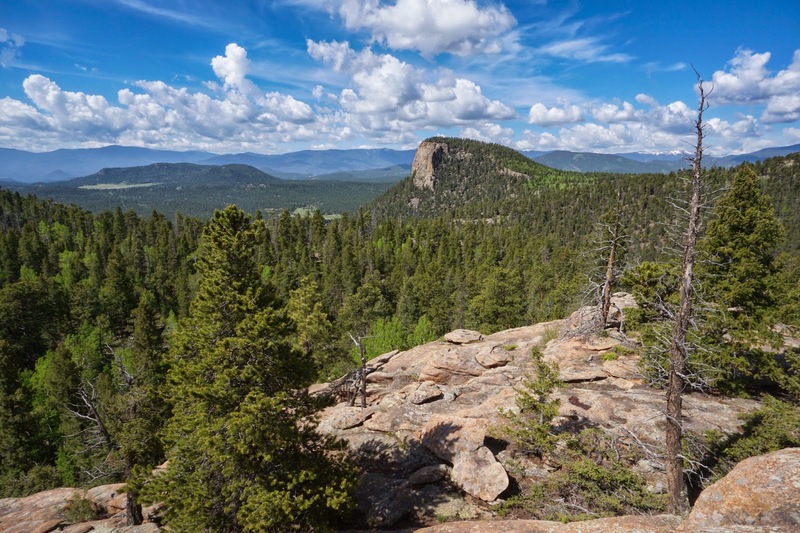 Staunton State Park is Colorado's newest state park, opening in 2013. This park is a worthy addition to the State Park System and one of the more rugged parks in the Front Range. Located just east of Mt. Evans, in between Hwy 285 and I-70, the park is only about 45 min from Denver. The trails here are long...getting to the Elk Falls Overlook requires a 10 mile hike (the shortest route). Due to the difficult access, Staunton has much more of a wilderness feel than many other state parks along the front range. The Staunton Ranch Trail is the park's main thoroughfare and is good for hiking, biking, and horseback riding. This trail provides access to all the side trails that take you into the real beauty of this park. The main draw of this park is the rock; towers, spires, cliffs, formations, you name it... Black Mountain is dramatic with its rock outcroppings and towering cliffs, the Lion's Head is something akin to Half Dome or El Capitain, and Elk Falls is stunning as it slices through a narrow granite canyon. The park also has abundant aspen groves and I can't wait to hike here in the Fall. For the kids, the Davis Ponds Trail offers a shorter excursion through pleasant evergreen and aspen forest to 2 small but scenic ponds. The park also has a group picnic area and offers guided hikes up to the falls, also a good option for kids as the rangers will drive you most of the way. Staunton is a fantastic new area for front ranger hikers, I can't wait to spend the next few years exploring all this area has to offer.